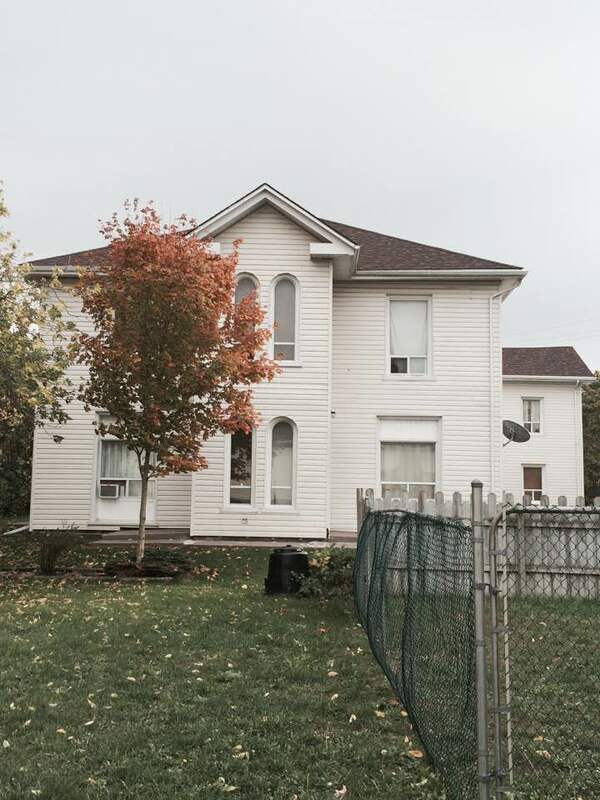 It is estimated that over 10,000 children from different organizations passed through the three buildings known as Annie MacPherson’s Marchmont Homes in Belleville. Annie MacPherson, daughter of a Scottish school teacher and evangelist, was educated in Glasgow and at the Home and Colonial Training College in London. After her father died she moved to Cambridge, but soon after returned. Touched by the dire poverty in the east end of London, Annie opened the Home of Industry in Spitalfield in London in 1868. Located in a former cholera hospital that housed up to 120 children, it was soon full to overflowing and prompted by Maria Rye’s emigration efforts, she began making plans to emigrate children to Canada. 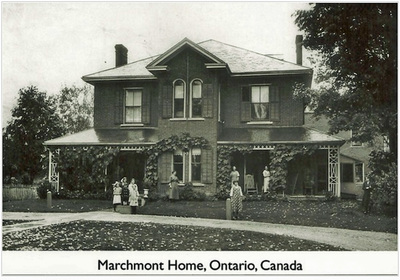 The first Marchmont location was opened in 1870 on Murney Hill in Belleville shortly after bringing in a ‘shipload’ of children to Canada with Ellen Bilbrough and Leslie Thom. Annie, Ellen and Leslie quickly realized that their method of distributing the children from their point of entry in Quebec to Hamilton was far from ideal. A shelter to regroup was needed after the long voyage out of which they could recruit placement families. However, after only two years, a fire ravaged the property and it was the cause of the tragic death of five-year-old Robbie Gray after he ran back into the burning building. Another site was needed. 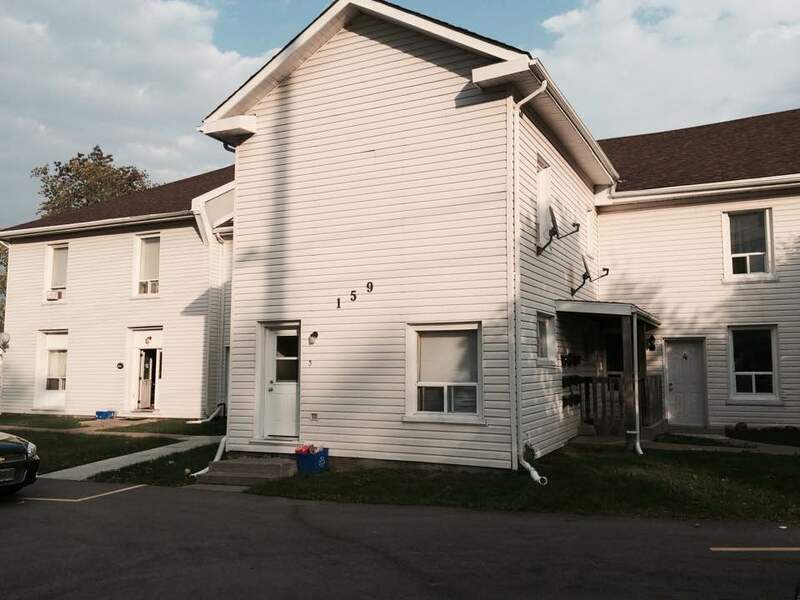 A new location, on Yeoman’s Hill in the West End of Belleville, was purchased by friends of Miss MacPherson. Formerly known as Charlement Lodge, it was located on three and a quarter acres at 193 Moira Street and renamed Marchmont. It wasn’t long before tragedy struck again and the second Marchmont burned to the ground in 1875. This time Miss MacPherson’s friends found a great supporter in Senator Billa Flint who rallied people to raise the funds for a new building, at the same address, this time made of brick. In 1875, Annie turned the running of the Home over to Ellen Bilbrough who remained there until her death in 1900. Ellen’s husband Reverend Wallace, who had remarried, carried on until his retirement in 1913 and Marchmont was supposed to be taken over by the Manchester and Salford Homes. They ceased operations after deciding not to bring any children to Canada until after the war. In 1920, Lillian Birt, who was Annie MacPherson’s niece, had taken over the running of the Liverpool Sheltering Home in Knowlton, Quebec from her mother, Louisa Birt. Lillian announced that the Liverpool Sheltering Home was going to assume the responsibility of Marchmont. William H. Merry, a nephew of Annie MacPherson and Louisa Birt, who had also been superintendent at MacPherson’s Stratford Receiving Home, became the new superintendent of Marchmont until the doors were finally closed in August, 1925. Many different organizations used the Marchmont Homes to bring their children to Canada: Barnardo’s, Quarrier’s, Mrs. Smyly from Ireland, Mrs. Blaikie and Thomas Gutherie from Scotland and the Manchester and Salford Boys’ and Girls’ Refuges, among others. If you would like to view Marchmont, it is difficult to see from Moira Street as newer buildings were erected closer to the street. Converted into apartments, the new address is 159 Yeomans Street.